Ross Forsyth has indicated in the local press that he will also remain a Player/Coach for next season but there has been no confirmation via the club as yet. Rumours are that Phil Johnston and various others are away. Johnston has been linked with a move to Clyde (on here), along with Steven Doris who has also been tipped for a return to Arbroath. I can't see Barry Ferguson signing either personally, however stranger things have happened. Fans are waiting to see who else will re-sign but I suspect that'll probably be about it. No doubt 1 or 2 of the current squad will put pen to paper over the next few weeks, Ross Smith, David Verlaque & Ross McGeachie would be my preference but it would be totally understandable for the latter 2 not to. With Stuart McLaren losing the faith of the majority of supporters, it must be last chance saloon for the manager to get things right. With a clear out on the horizon, it could be an interesting few months at Forthbank. Johnston looked more interested in mingling with Clyde players prior to the game Saturday, than his current team mates, so I reckon he's a cert to sign for us. I'll be honest, I never noticed Shetto Clyde Man, but in truth I wasn't really paying any attention. Time will tell I suppose however if it is true then I'm struggling to see why BF would be interested in him, other than adding pace, I don't really see how he'd improve you. Regarding next season and who we are resigning, personally I hope, Mazel, Ross Smith, Ross Kavanagh, Steven Doris, David Verlaque, Ross McGeachie, Kevin McKinlay, Craig Comrie, and a few of the U20`S who can make the step up like, Scott Burns, Scott Stevenson, Sam Davidson. Hope the following get released Sean Dickson, Phil Johnston. Hopefully what we need and get for next season are a couple of strikers and more help in midfield. Heard already a couple of names being mentioned, John Gemmill from Clyde and Marc MacKenzie from Elgin as possible signings, time will tell as they say. Regarding McLaren next season, agree he`s at the last chance saloon, a bad start to the season and he will have the fans on his back again. Come Oct/Nov time if we are not in the top 4 or 5, then imo the Board will be forced to make changes. Interesting times as you say lie ahead in the next few months at Forthbank. How did big Buisty perform this season? It was great to see him back playing but I was always a bit worried about how he'd handle it all. Good luck with Johnston if you sign him, apart from his pace cant think of any other skill that he has that will improve you. When he first came back he did well for us but since then he has rarely featured due to injuries. Injured at East Fife with hamstring injuries and hasn't played since as far as I can remember for us and he`s still been struggling since. Shame for him hope he manages to get over it and still be able to carry on playing. I think he's played 5 games if you're lucky mate. For what it's worth, he looked to be over his injury problems and looked great at the back, just what the team needed and he was doing what Buist does best. However, he lasted about 20 minutes against East Fife, was arguably at fault for first 2 goals and was subbed, it was later reported that he had picked up another injury and his season looked to be over, which is a pity in truth. I'd be lying if I said I knew whether he has been offered another deal or not. Just like to say that the manager has gone up a bit in my estimation. 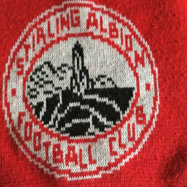 Out of all the managers who were asked by writers of the East Fife programme in the league 2 to name their team of individuals for league 2 team of the season, only McLaren of Stirling Albion could be bothered to answer, apart from Naysmith. I'm surprised to read that no other manager followed that up WhoAmI but I'm not surprised to hear that McLaren was one of those who did. I genuinely think McLaren's one of life's good guys and he is very honest, warm and approachable, that's never been up for discussion.......his ability to manage a football team however has been. By all accounts Craig Molloy is heading to Stirling. He's been a great servant to Brechin and would be an excellent signing in league 2. Has been struggling to get into the side due to the form of James Dale but still gutted he is on his way. Not surprised re Buist, started well but fell away due to injuries. Bit surprised at Comrie not been offered another year, felt he was worth a new contract in the hope he finds his form after out a long time through injury. From the signings we have made, Gemmill, McKenzie and Molloy all are over 30. It would appear McLaren is going for experience over youth, just hope the young lads such as Burns, Stevenson,Davidson and Kavanagh are given the chance next season. By all accounts Craig Molloy is heading to Stirling. He's been a great servant to Brechin and would be an excellent signing in league 2. He's obviously has history with the club, would be a positive signing, at this level, if true. How old is Molloy now......early 30's?? I wouldn't be at all surprised if this was true. Comrie has been a massive disappointment this season. He should have cemented his place in Midfield but instead has regressed instead. There's a good player there, but who knows where it's gone. The 2 of them could be good players for someone. Johnston, Comrie, Beattie, Buist, Stevenson and Gwynne not offered new deals. Also Kevin McKinlay not offered a new deal.